“Get in the car” says Francesco Ricasoli. We oblige, quickly and without hesitation. Francesco slams it into gear and we’re off to see the vineyards. 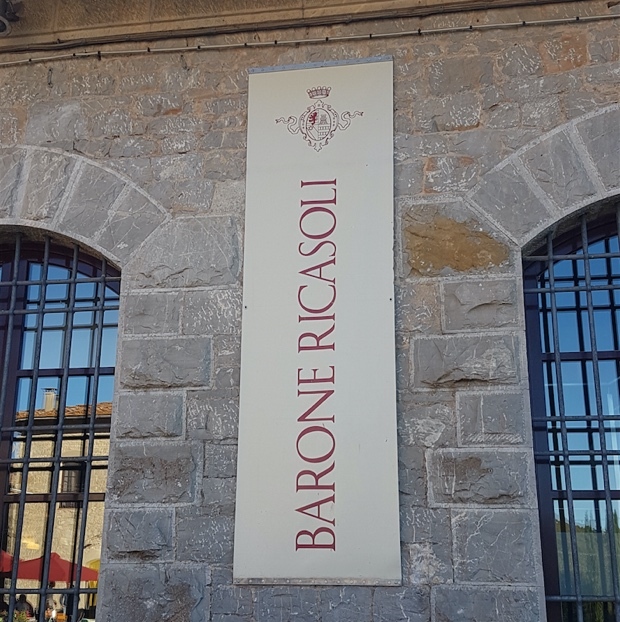 The wonderful vineyards of Ricasoli. Every corner of the grand Gaiole estate, 1,200 hectares of property that includes nearly 240 hectares of planted vines and 26 of olive groves. 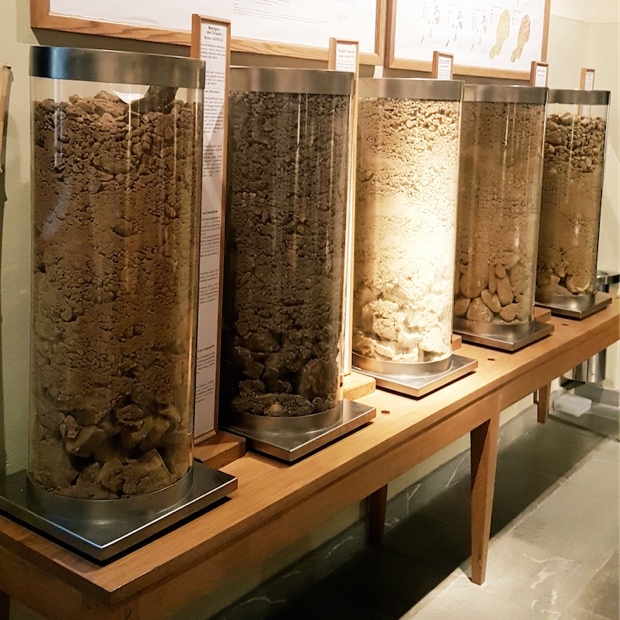 We take in all five major types of soils identified on the estate though truth be told there are at least 19 different combinations of terroir. Ricasoli is extremely proud of this highly variegated geography. 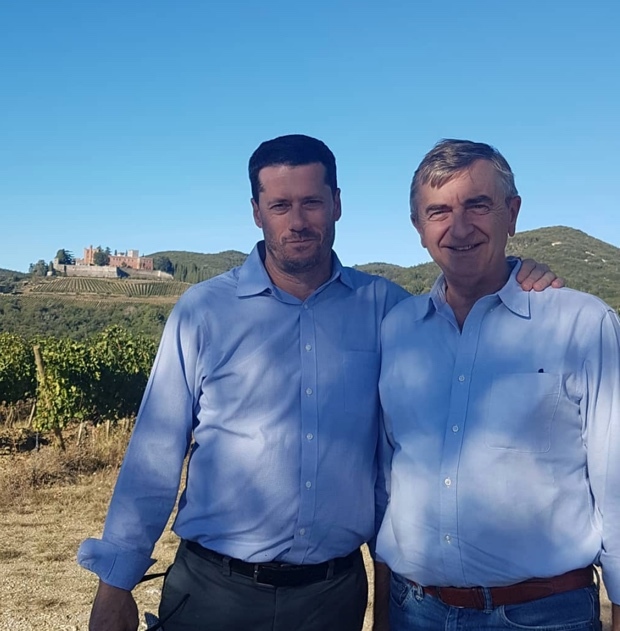 As their custodian and the man in charge of perpetuating Chianti Classico’s longest standing legacy he treats his work and the honour with the greatest respect. First we step out where harvest is taking place, along a 300m ridge line housing the ancient fluvial terrace. Located in the southernmost part of the estate, in the Arbia River valley. The origins are Pliocene-Pleistocene, of silty deposits, little skeletal structure, clay, poor in both chalk and organic matter. 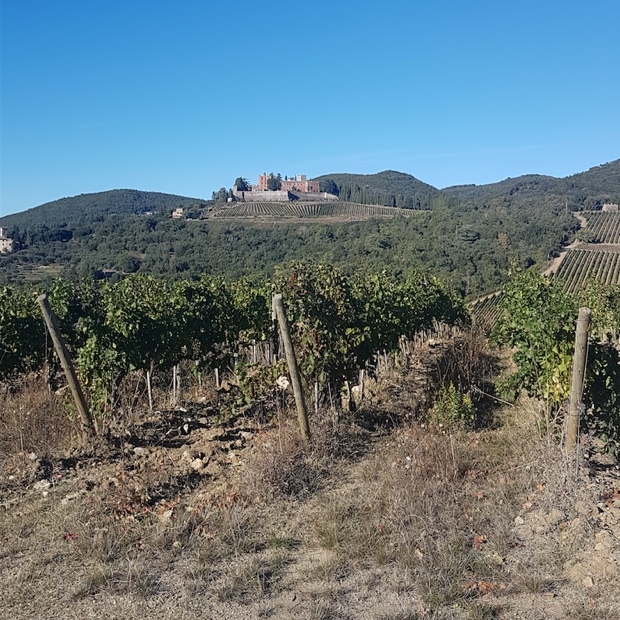 Monte Morello is at 390m south of Brolio Castle in the central part of the property, so representative of Chianti Classico. 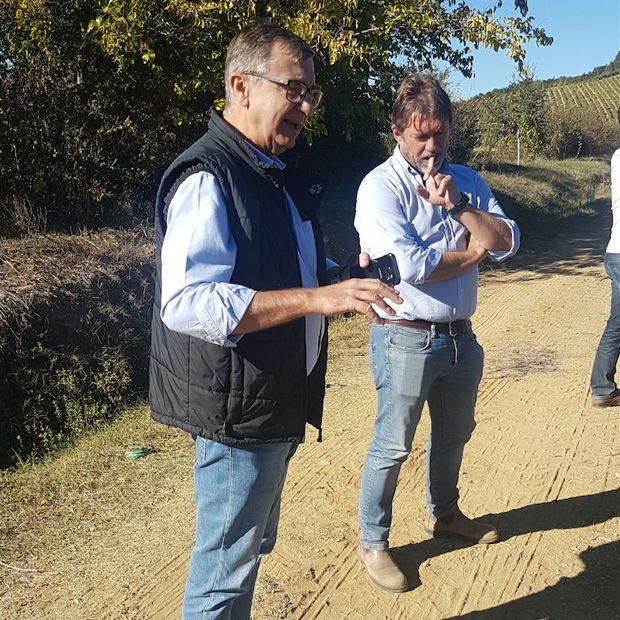 It’s calcareous clay soil, poor in organic matter and home to Colledilà vineyard, the “other side of the hill” Cru developed and realized from 15 years of estate terroir sangiovese research. The marine deposit soils at 300 to 350m in the central part of the property, south of the calcareous clay soils are composed of Pliocene marine sediments, with sandy deposits and rocks smoothed by the action of the sea and clay at deeper levels. Marine fossils and lignite emerge from the soil. 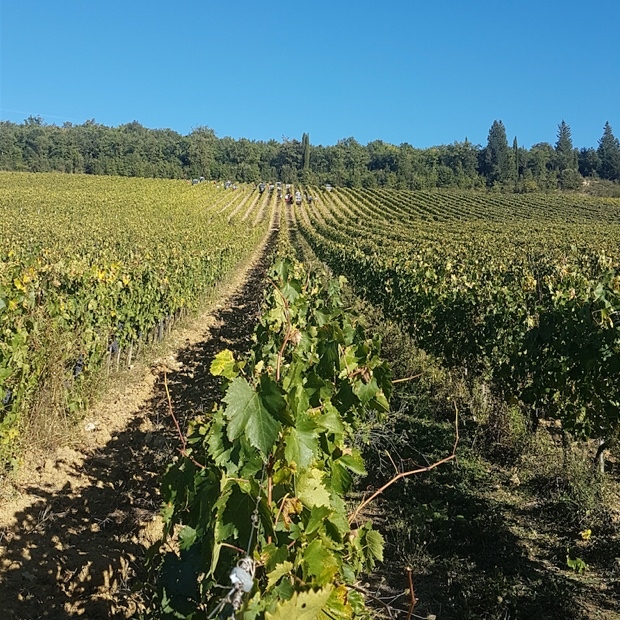 Macigno del Chianti is marked by draining sands and rocks, steep slopes at 460m and houses the merlot from the Casalferro vineyard. Scaglia Toscana at 450 to 500m is notable for its pink limestone and there it is sangiovese as the grape variety of choice. 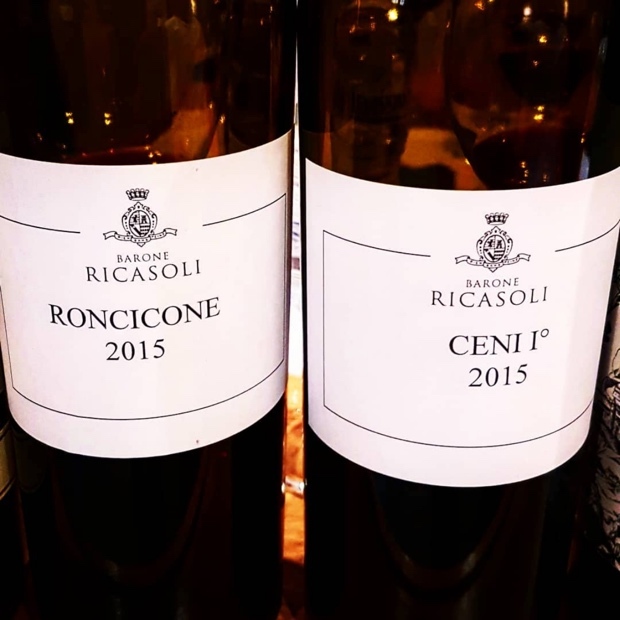 “Delivering purity with deep respect to exceptional vineyards.” This is the manifesto at the centre of the Ricasoli universe. 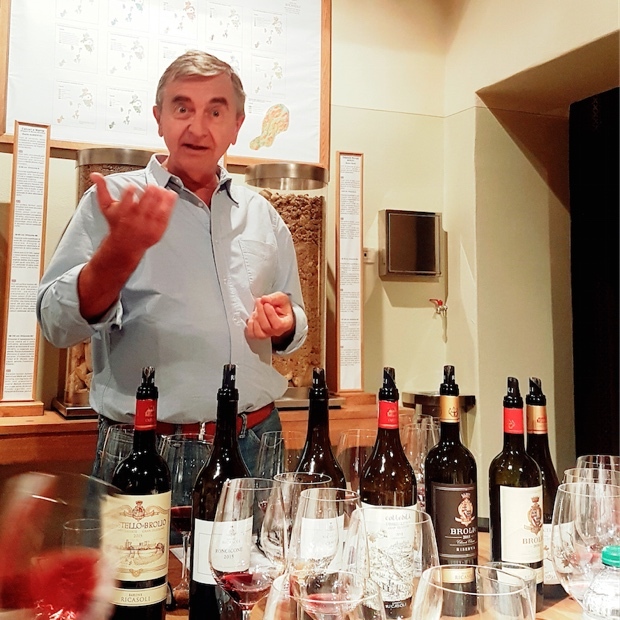 The wines made from 100 per cent sangiovese are the soil king agronomist Massimiliano Biagi’s favourites. 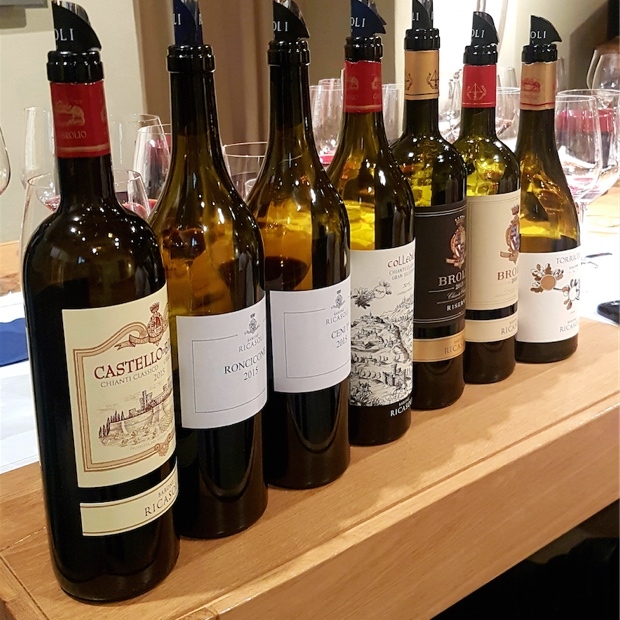 The permutations are many but they are all rendered through tireless research conducted and perpetuated at the hands of Francesco Ricasoli’s 25 years of service. Twenty-five years of re-planting vineyards, investigating biotypes, isolating exceptional soils, plots and exposures.